When governments reach a stage of “every man for himself”, there’s usually no turning back. MPs, driven by the need to save their seats, safeguard their legacy, position themselves for the aftermath, or just make mischief because they are angry, throw discipline to the wind and start freelancing. 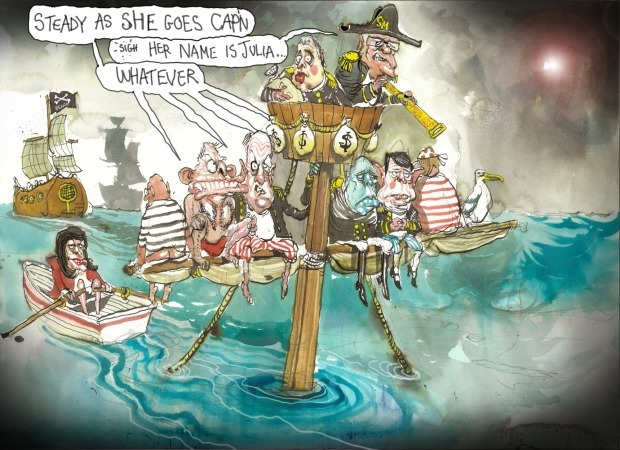 This week, on the back of the Victorian election and a dreadful Newspoll, the Coalition, if not already at the point of no return, sailed perilously close. 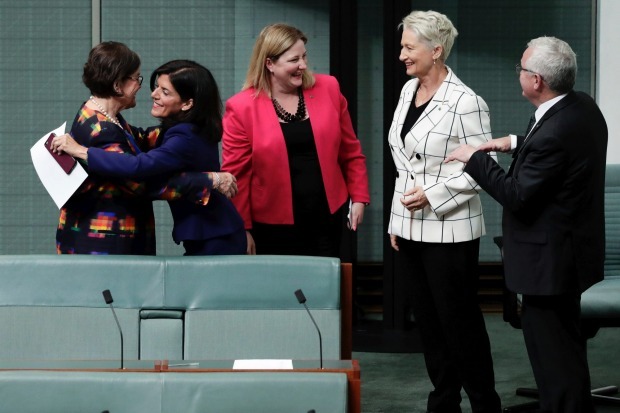 Julia Banks jumped ship to join a growing group of independent centre-right women holding what used to be Liberal seats of Wentworth, Mayo and Indi. Morrison was regarded by both sides as the leader who could straddle the factional divide. With goodwill, he started well, but is unravelling. Banks made life much harder for the like-minded colleagues she left behind who believe the best way to fix the party’s cultural dislocation is to try to do it from the inside. Craig Kelly left open the prospect of walking if he loses his preselection, not that it would change much given he has effectively operated as a crossbencher anyway. Other usually reserved Liberals, like Scott Ryan and Kelly O’Dwyer, led the fightback against the hard right which has cast its ideology across the party. Nationals MP Kevin Hogan, who moved to the crossbench after the leadership coup but still votes with his party, called for a royal commission into something or other and, of course, Julie Bishop broke ranks by calling for the Coalition to get serious on climate change and re-embrace the National Energy Guarantee. Compounding this, the government hung a lantern over its own dysfunction. 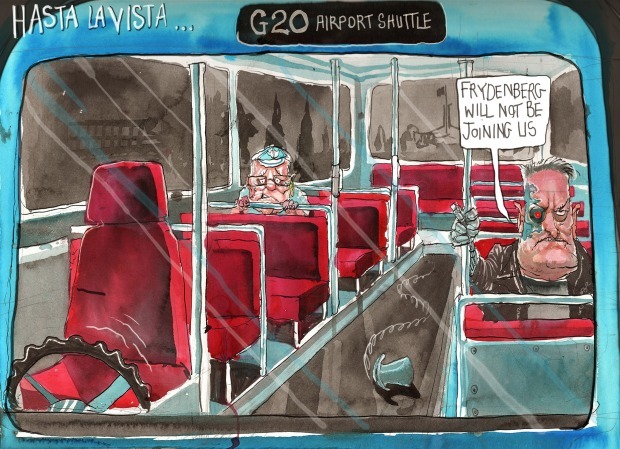 Deputy leader and Treasurer Josh Frydenberg baled out of the G20 in Argentina to stay home and try to restore order, rather than do his bit alongside Morrison in Buenos Aires to try to restore global order. Not that Morrison is getting much love abroad either, with no meeting scheduled with either Xi Jinping or Donald Trump. Deputy leader and Treasurer Josh Frydenberg baled out of the G20 in Argentina to stay home and try to restore order. Next year’s sitting schedule shows the government doing its utmost to minimise exposure to Parliament before having an early budget and rushing to an election. And incredibly, on the back of Newspoll, a handful of MPs who voted out Malcolm Turnbull for petty reasons mused about whether it would be too late to switch from Morrison to Bishop. Buyer’s remorse, it seems. No wonder a mischievous Bishop started showing a little ankle, messing with the minds of those she feels should have given her a shot at the leadership. Had Bishop won the August ballot, she planned to call an election straight away to try to capitalise on her popularity. 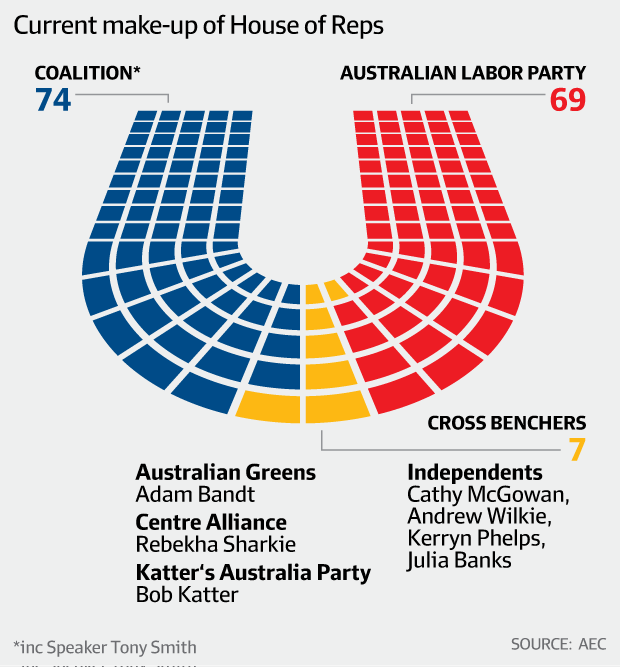 Regular polling which has been carried out by The Australia Institute showed this week that although now a backbencher, Bishop is still more widely recognised than anyone else in government. That the leadership change has so far proved a flop is underscored by the empirical evidence (Victoria and Wentworth) and the polls which are much worse as a result. Mathias Cormann, who delivered the coup de gras on August 24, acknowledged recently the government was competitive when it necked Turnbull but a mercy killing was required. “There is no question in my mind, the government had worked very well as a team and that we had got ourselves back into a more competitive position than we had been,” he said. 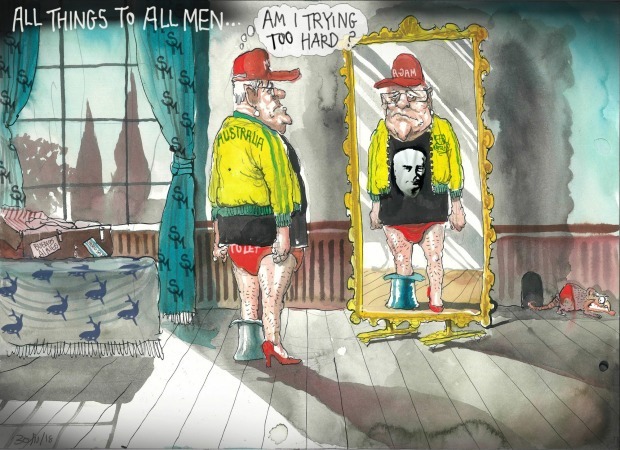 But after Turnbull called a spill ballot on Tuesday, August 21, to flush out the inevitable challenge and survived by 48 votes to 35, his leadership was “irretrievable”, Cormann contended, and the issue needed to be resolved. This invited a stinging rebuke from one of his colleagues. “Thirty-nine voted for an empty chair and he thought it was okay to keep backing Tony,” the Liberal noted of the empty chair challenge against Tony Abbott in February 2015. 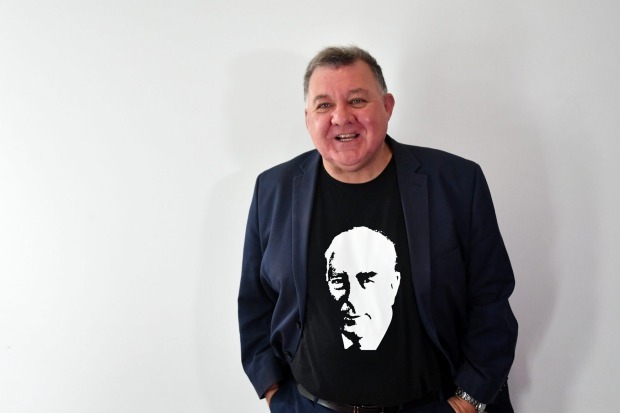 Craig Kelly left open the prospect of walking if he loses his preselection. Further evidence the spill failed to achieve anything positive comes courtesy of the latest True Issues survey by veteran pollster John Scales and his team at JWS Research. It is conducted every quarter or so and gauges the issues voters most worry about and how they feel the government is handling them. This is no snapshot polling of voter intent but a more in-depth gauge of voter mood. “There have been no significant improvements in the rated performance of the government since August … in the last weeks of the Turnbull government,” it says. The only significant change is the cost of living has become the number-one concern for voters, overtaking health. Scales says this feeds the more damaging mood change his survey detected – that since August, more Australians feel their personal situation is headed in the wrong direction. The area in which the voters give the Coalition the highest marks for performance is defence, security and terrorism – but it rates at 10 as an issue of concern. So, both the numbers and the sentiment are not good for the government and there is little sign it has the wherewithal to address either because it can’t heal itself. The crisis gripping the party is more serious than the personal divisions which ripped apart Labor. Kevin Rudd and Julia Gillard despised each other but each was still able to govern because the party remained more or less united on policy, most notably climate change. When the two protagonists left politics, the party healed almost seamlessly. The Liberal split is personal, ideological and structural and it has been building since 2009, fuelled by the animus between Abbott and Turnbull. When Turnbull was ascendant, the right was revolting. Now that the right is again in the ascendancy, the moderates are fighting back. Judging by the polls and the Victorian election, most Liberal voters prefer the more moderate version. But the right responds by digging in, its media boosters effectively accusing the voters of getting it wrong and accusing Turnbull of destabilisation via voodoo. The unwillingness of the right to ever compromise was exemplified by its refusal to adopt the NEG, a policy so watered down to appease the right it was little more than a gesture. But it would not countenance a deal with Labor. Better to have a fight than solve a problem. It is this mentality the public hates and against which Bishop and others are pushing back. People talk of a split, similar to that which saw the breakaway Liberal Movement in South Australia in 1972. It is unlikely but not impossible.